As you already know, the Festival Latinoamericano de Instalacion de Software Libre event will be held this Saturday here in Chile. In La Serena we are starting around 9 am at Universidad de La Serena campus Isabel Bongard, with plenty of fun talks and room for installations, I am more than ready to install our awesome green! =). By the way, I will be creating an ISO with SUSE Studio so everyone can grab it on USB devices. Some talk topics we are presenting: KVM, Free Knowledge, Linux beyond the Desktop, and Contributing to openSUSE without having to be a developer. I would like to thank Andreas and everyone at Novell who has been supporting the Ambassadors Program, shipping DVDs, Geekos, T-shirts that the audience really appreciates and do make a difference. I am going to Encuentro Linux 2009! Yes, I am going to Encuentro Linux 2009, and so does openSUSE!. This year the most important Linux event in Chile will be held in Valparaiso and Viña del Mar at the same time. I’ll be giving a presentation on SUSE Studio (if you didn’t already know 😉 ) on Saturday 24th, 10:00 – 11:10 AM. Of course I am taking all openSUSE 11.1 DVDs I have left, and will be a great oportunity to show on my notebook what’s coming for 11.2. More information (in spanish only) here. See you there!. Posted in Events, Marketing | Comments Off on I am going to Encuentro Linux 2009! Alright. Just out of curiosity, I felt like finding out what the numbers show for South America compared to other regions in the Ambassadors Program of openSUSE. Act as an evangelist for openSUSE to the public. Mentor new users and contributors. Support openSUSE at local events. Promote use of openSUSE and contributions to the openSUSE Project. Have a lot of fun!. For more information, please, visit the openSUSE Ambassadors section. 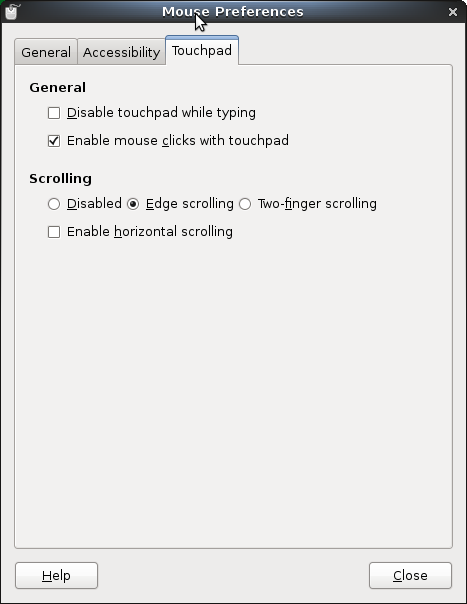 If you are running the openSUSE 11.2 Milestone 6 (Gnome 2.27.5, Kernel 2.6.31-rc6-3-default) and find out that clicks of touchpad do not work, then this might help you a bit. I must thank my friend Pedro Villavicencio of Ubuntu for letting me know about this solution. And the day came. After a six hours trip on bus, and a few minutes of sleep I got to Santiago de Chile. Francisco Toha picked me up so we headed to Universidad Andres Bello for the openSUSE Day. Huge building and plenty of room for everyone. The event started almost on time. I followed the first talk, a bit hoping to have a decent internet connection so I could show a live SUSE Studio test drive. OK, that didn’t happen. The internet traffic ratio was too slow like waiting 59 minutes to build an JeOS appliance was nuts so that was definitely the low aspect of the talk. Posted in Events, Marketing | Comments Off on openSUSE Day (Chile): Awesome. openSUSE Day (Chile). June 18th, 2009. We are hoping to have students, young people, professors, teachers, and professionals from many fields as well. Actually everyone is welcome to attend the event. We’ll have presentations, stands, gaming, and of course the fun install fest (openSUSE 11.1). And yes, you can have an original openSUSE 11.1 Live DVD if you are one of the first 400 people to get there 😉 (Thanks Zonker!). Where? Meet us at Universidad Andres Bello (UNAB), Campus República, República 239/Subterráneo R3. Check the map here. Time? 10 AM though 8 PM. Rafael de la Horra, from UNAB: Education for Professionals and the Free Software Environment. Enrique Herrera, from Linux Latin America: GNU/Linux, 10 years of progress. Myself, openSUSE Ambassador: SUSE Studio. Patricia Albornoz, SUN Campus Ambassador: Netbeans and openSUSE. Francisco del Castillo, from the Air Force: Linux and the Air Force. Rodrigo Romo, from IBM/Tallard: Reducing Costs with IBM and Linux. See you there. Join openSUSE and have a lot of fun! 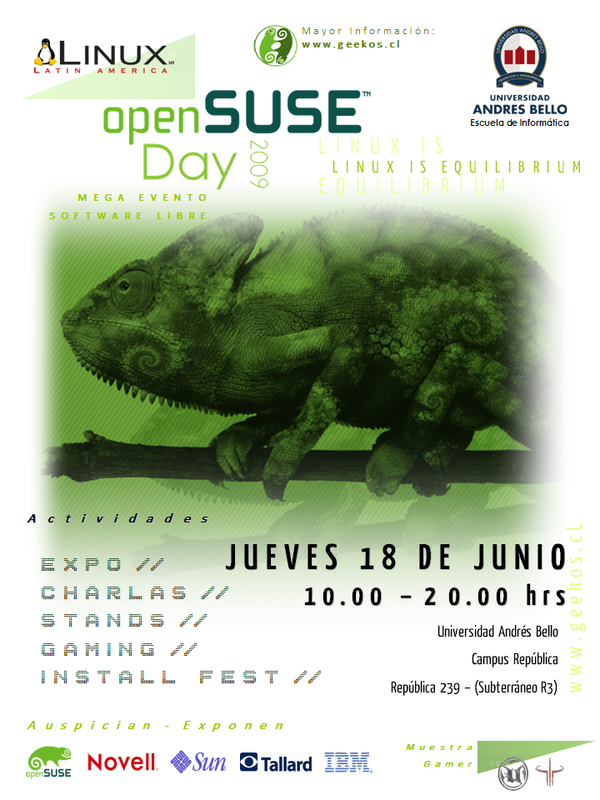 Posted in Events | Comments Off on openSUSE Day (Chile). June 18th, 2009. Well, today I downloaded the Gnome Live CD first, and had no luck at all. That was no fun watching the busy cursor over and over again after selecting the Live CD option from the Menu so I decided to get the DVD just to see if things went different (actually not the only reason for), and sure they were. 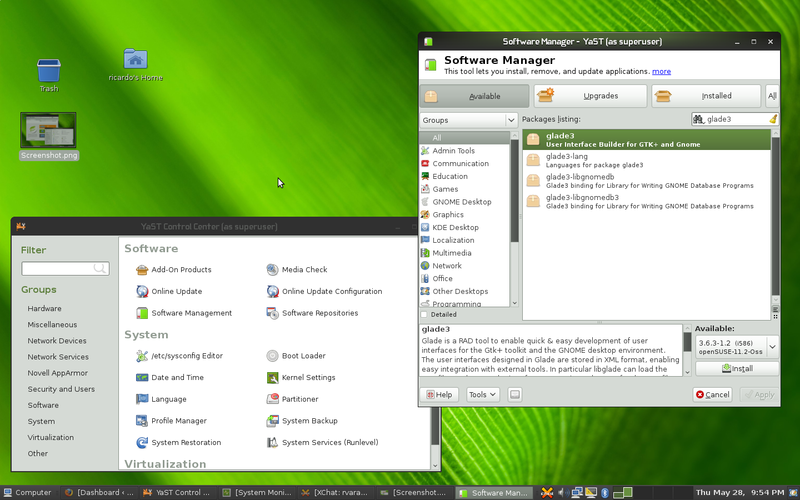 First, I installed the KDE Desktop, not a deal through the install process. Then came the first log in and all well. Of course I chose the Ext4 file system and I can tell it feels faster than our good old Ext3 ;).